JCPenney used to be one of my favorite stores for bargain shopping. Since I work not far from a JCP location, I would pop over on my lunch hour to scan the racks for bargain clothing. Since JCP changed their pricing policy last year, I have only shopped there one time because the new pricing totally confused me. 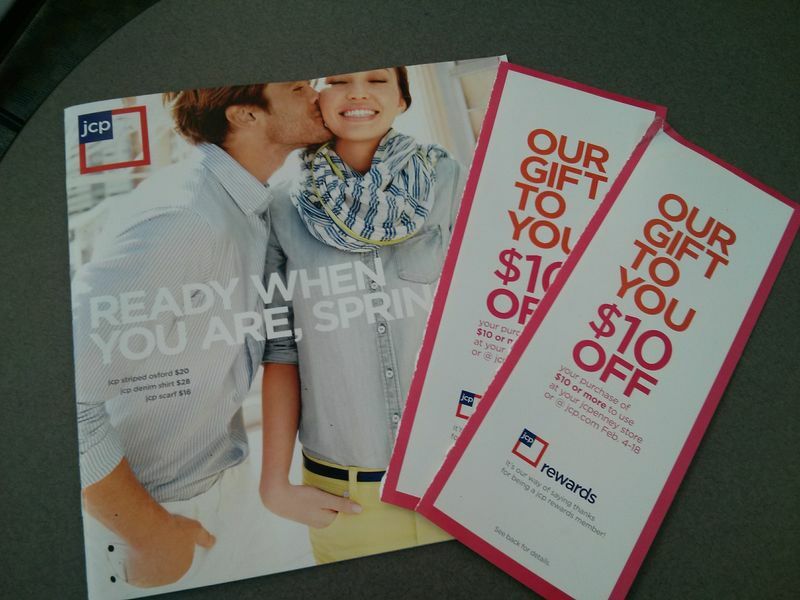 But due to an unexpected piece of mail from JCP, it looks like I will need to make a return visit really soon. Yesterday, I received two JCPenney catalogs in the mail - I have no idea why I got two. And in them where coupons for $10 off a $10+ purchase good thru February 18th. Can you say FREE SHOPPING ?? ?